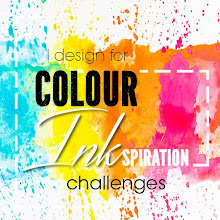 Welcome to another FANTASTIC blog hop with the Colour INKspiration team!! (with a neutral if needed). - who just happens to love love love these glorious colours!! I've paired Whisper White with our challenge colours this week. and Delicate Details Sale-a-bration stamp with Sahara Sand at the top and bottom of the front panel. The die cut embellishments come from the Flourish Thinlits and the So Detailed Thinlits. Underneath those wonderful Large Numbers in the Blushing Bride glimmer paper is the lovely floral swag from the Floral Affection Embossing Folder. I've used a Blushing Bride marker to colour a few of the flowers to highlight them. 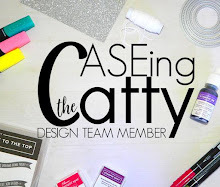 I sincerely hope you've been inspired by the awesome projects of the design team, and that you will join in the fun too. 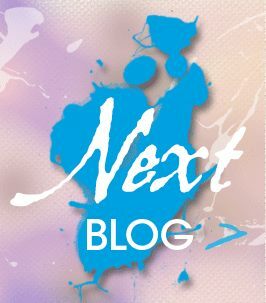 If you click on the Next blog link you will continue on your hop and see the fabulous super cute Eater creation from Kathryn. You can use the link below to head on over to our facebook page and add your photo of your project using these lovely colours!! A pretty card for a significant birthday. It's perfect. Thank you Rachel. It was amazing how perfectly it all came together. I just love how the colours from the picture work so well with this colour challenge just gorgeous! Yes Nicole, isn't that just fantastic! Thank you Kelly. I really love make something very special to order! Truly is a special card - a labour of love. Thank you Bronwyn. I loved making such a personalised card. What a very special card Julia! She will love it! Thankyou Mel, yes, I hope so! Such a pretty and personalised card Julia. A special keepsake as well. Thankyou Lou. I hadn't thought of it as a keepsake but you're right, it will be! Wow, Julia! So many pretty elements, from the embossing folder to the coloured glimmer paper come together to make a truly beautiful keepsake. Thank you Tricia, these colours were so perfect for my project!! Lovely work! What a treasure! What a great idea putting the photo in the centre of a easel card, which can reminder her of this very special birthday. Thank you Kathryn, the photo is of the giver and receiver of this card - isn't that so special?